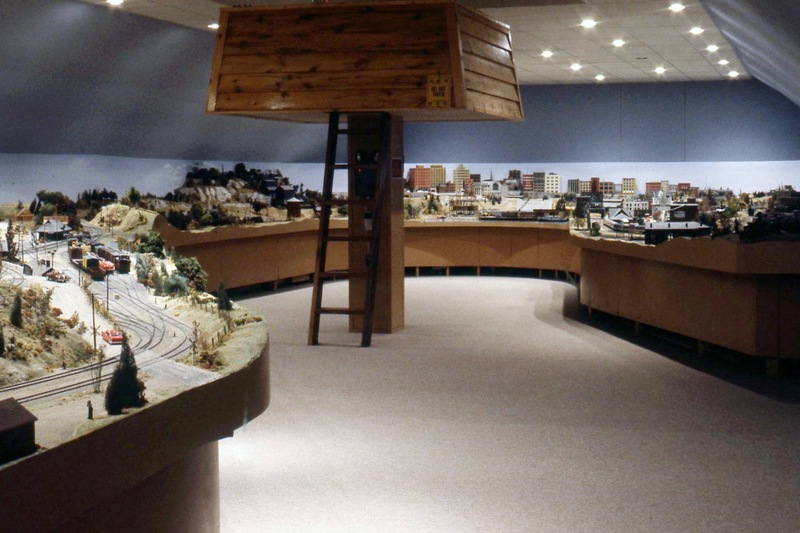 St. Jacobs & Aberfoyle Model Railway is an O scale (¼”= 12″) model railway depicting Southern Ontario in the late 1950’s. 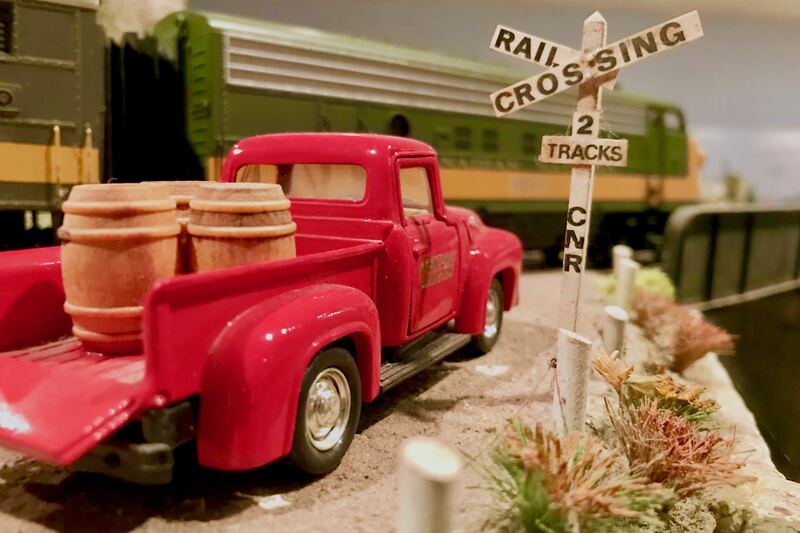 Hand built models of both our major railways, Canadian National and Canadian Pacific, run on their separate rights of way. Watch freight trains being sorted in our terminal yards, and then switched along their routes. See lighted passenger cars, with full interior detailing, recreate the era of the great passenger trains, as they depart major urban terminals and then pass suburban stations and small rural depots. Models of both late steam locomotives and first generation diesels, authentically detailed for specific prototypes, provide the power. 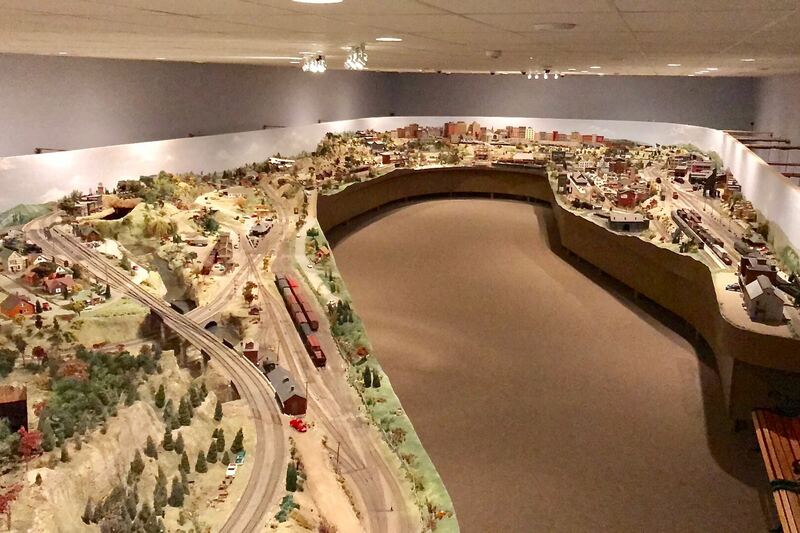 Our trains run through realistic scenery passing countryside, fields, beach, rivers, towns, a large city and even part of the Niagara Escarpment. You may recognize many of the industries and structures, which are based on real ones in the Southern Ontario area. Our 46 year history began in 1972 when Frank Dubery and his wife Gay began the project under the name Aberfoyle Junction Model Railway. The original small display was located in the barn at the Aberfoyle Sunday Flea Market. 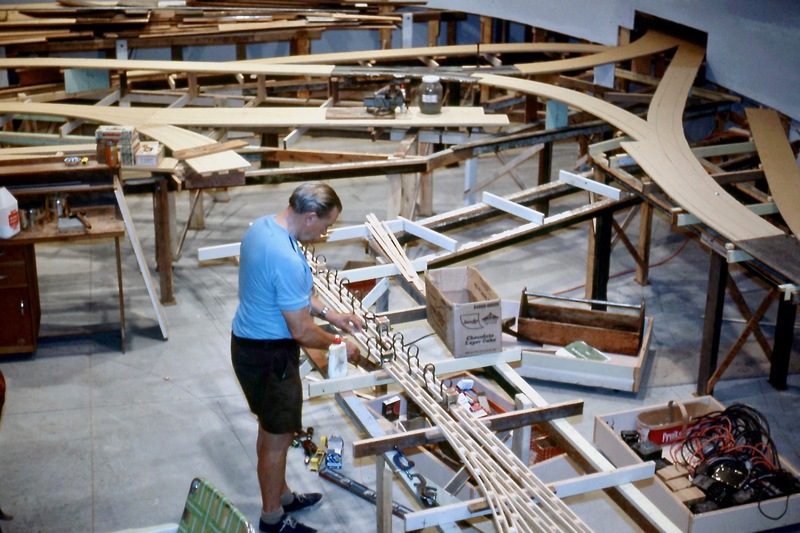 Later that year Chuck and Gwen Bard joined Frank and Gay in building the original display dubbed AJ1. 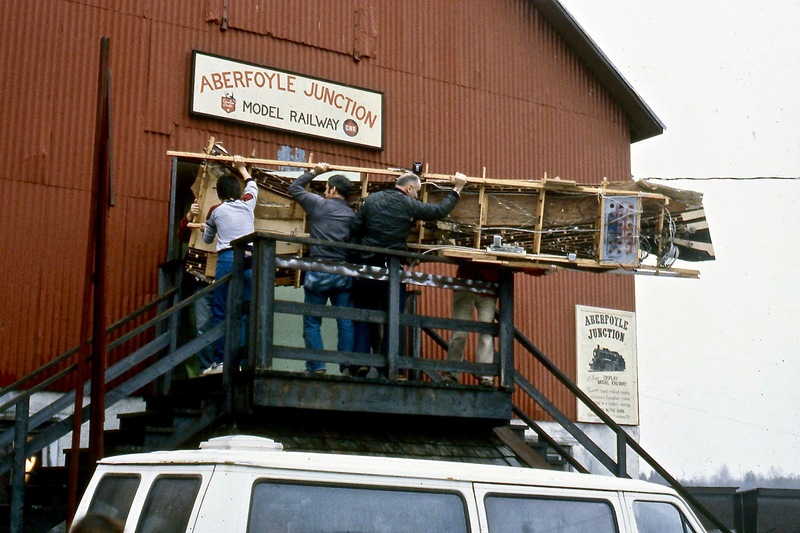 In 1973, the four were joined by Wayne Pfieffer and Craig Webb, completing the original 6 who created Aberfoyle Junction and the display that you see today. 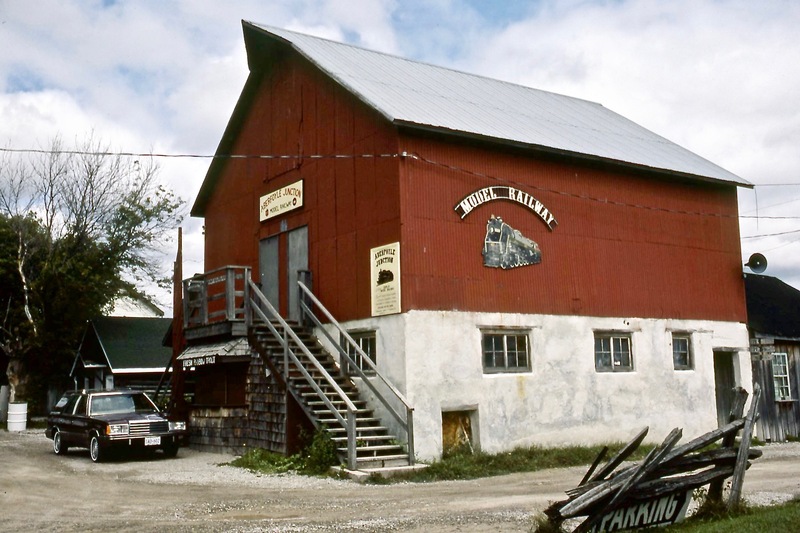 In 1982 AJ1 was moved about a kilometer up the road to its own steel building. In this new home the original layout was expanded and dubbed as AJ2. The display grew to over 3000 square feet and operated in Aberfoyle until its last show on May 13th 2012. With the land that housed Aberfoyle Junction being developed, the display desperately needed a new home. With the help and generosity of a few key people it was decided that the display would have a new home in St. Jacobs. 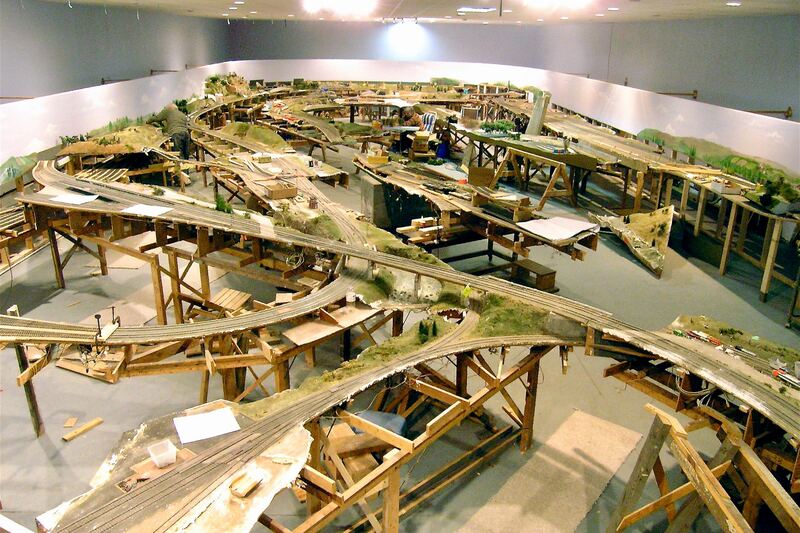 The display was then cut into 45 sections, moved over 40kms and reassembled in its present location. downtown in the village. 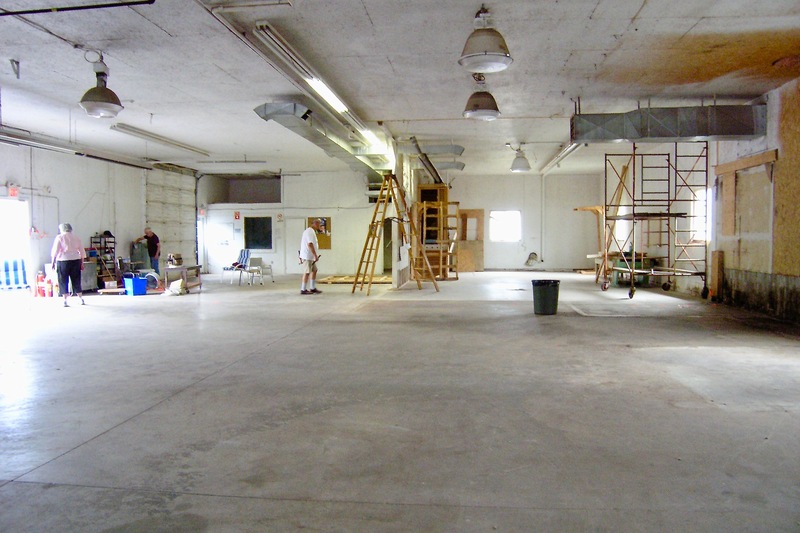 The move took 20+ volunteers over 12,000 hours to complete, reopening on October 19th, 2013.